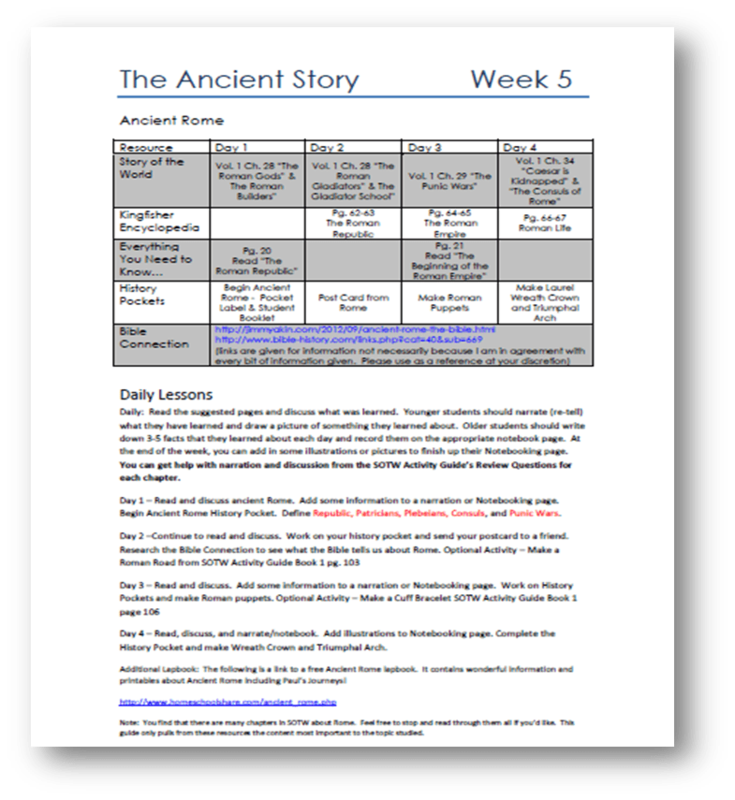 Last summer I posted the first semester of our NEW history lesson plan guide called The Ancient Story. I’m so excited to now offer the 2nd semester plans! You can purchase the entire year or just one semester at a time. If you are a CC family, you’ll love that these plans follow right along with our weekly history topics! Not a CC family? No problem! The plans work great for anyone!! Read the original blog post below to learn more! Scroll to the bottom for a link to purchase a PDF Download now! 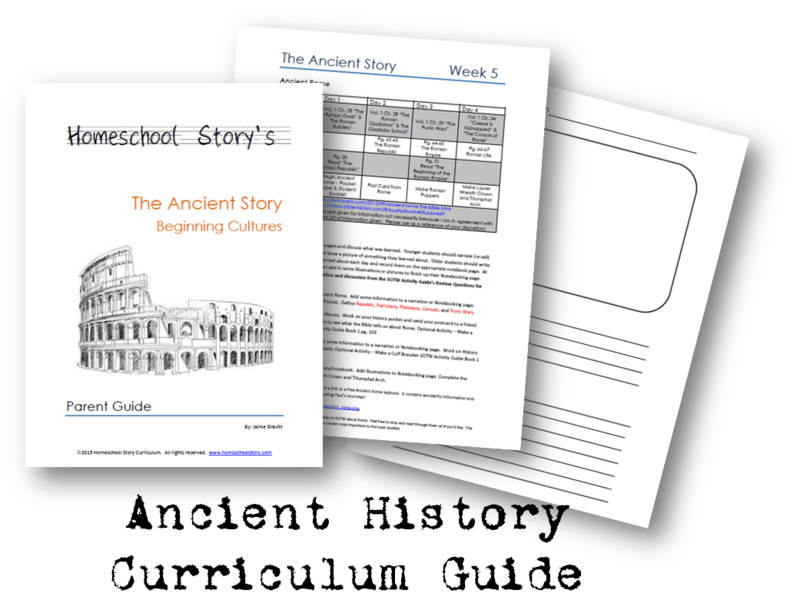 I’m very excited to announce the newest Homeschool Story project….The Ancient Story. This new curriculum guide was created for people like me who love to use all the wonderful history resources out there, but prefer to have some sort of organized plan on how to put everything together. In the past I used lists that were created to correlate one book with another and match them to the week of my Classical Conversations topics. It helped a lot, but I still found myself fumbling around and feeling a little disorganized. The Ancient Story takes you through the beginning cultures of the world. Each week is a different topic with readings from books like Story of the World and Kingfisher History Encyclopedia. 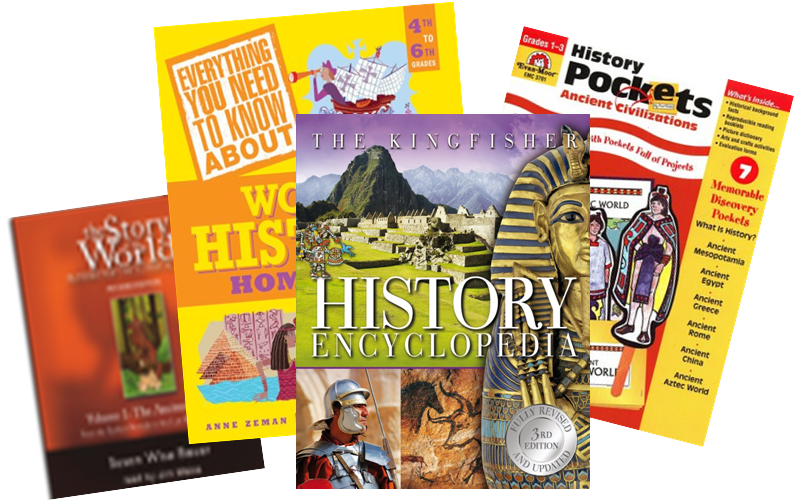 I’ve also included activities from History Pockets – Ancient History. Enjoy some great crafts, projects, mapping activities, and more! The guide is made so that you can do as much or as little of the plan as you wish or as is appropriate for your child. I love notebooking and feel it’s an important part of learning how to study. The Ancient Story includes notebooking each week along with some great notebooking pages that you can use. Are you a CC Parent? If you are part of CC Foundations, then this guide will match perfectly to your weekly studies. Each week’s topic with give you and your child a wonderful plan to dig deeper into their memory work! No problem! I’ve created this guide to be used by everyone. If you’re studying Ancient History this year, then you’ll love this guide! The guide is a pdf download at this time. In the future I hope to also offer it as a bound book, but for now it’s a pdf. You can print it out or just reference it from your computer. The entire document is 23 pages of black and white, so printing is still very economical. Weekly detailed plans that will show you exactly what to read, which map activities, crafts, and projects go with the week’s topic. Also included in the weekly plans are words to define and notebooking ideas. Notebooking pages are also included in the back. 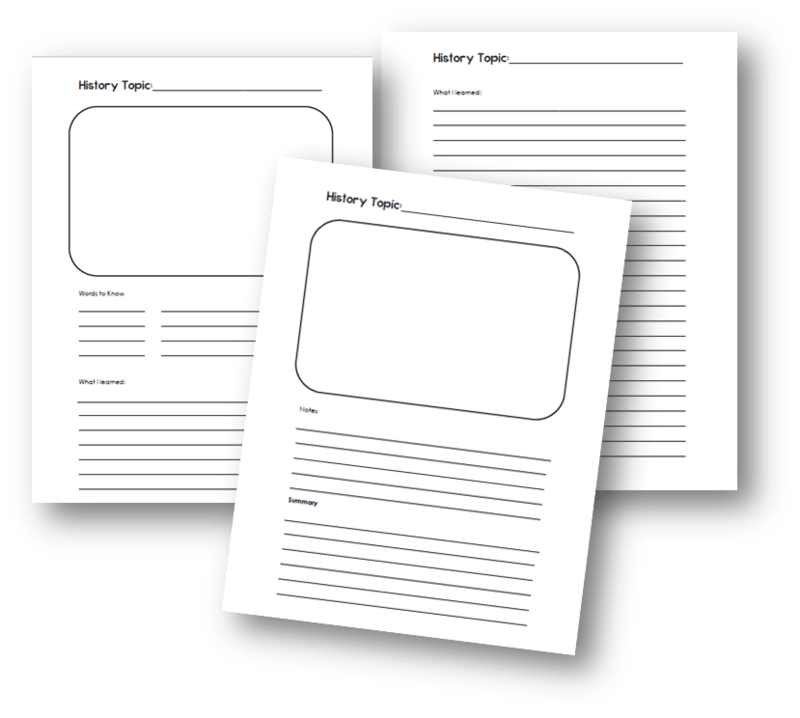 These are reproducible pages that you can use each week as your child rewrites what they have learned.